The re-cert includes practical skills evaluation and written or oral exam. Recommended every 2 years. Required every 3 years. Candidates are required to have the Red Cross manual. Additional $25.00 to acquire the text. 3 year certification in First Aid recognized in the workplace. 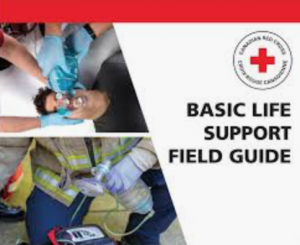 Basic Life Support (BLS) is the recognition of, and initial intervention or treatment given by pre-hospital or in-facility responders to, a patient suffering from cardiac arrest or respiratory arrest. The BLS curriculum truly supports the delivery of high performance, team-based professional-level resuscitation. Our BLS course is industry driven, designed as a robust resuscitation training program geared toward high quality CPR in a team environment, and recognizes the nuances of multidisciplinary teams with varied experiences. Written exam conducted at the end of the core section with a minimum pass of 80 %. 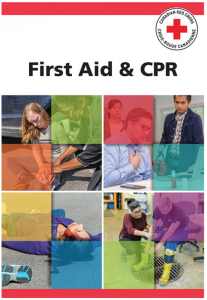 Complete co-teaches demonstrating competency by teaching 50 % or more of a Standard First Aid and CPR Level C course within one year of the core session, monitored by a Senior Instructor and/or Instructor Trainer. 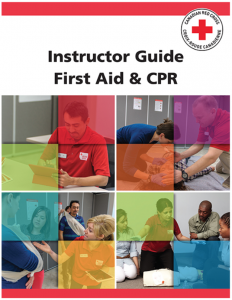 Attend and participate in 100 % of the First Aid Instructor Course, including the skills assessment session.